The District is a conservation and reclamation district created by order of the Commissioners Court of Fort Bend County, Texas on August 28, 2007. The District is empowered, among other things, to purchase, construct, operate and maintain all improvements and utilities necessary for providing flood plain reclamation, flood protection, detention and outfall drainage. The District presently contains approximately 572 acres of land located in the northeast portion of Fort Bend County approximately 28 miles southwest from downtown Houston, Texas. The District lies entirely within the extraterritorial jurisdiction of the City of Richmond. The District is being developed as Kingdom Heights, a predominantly single family community with some commercial usages. 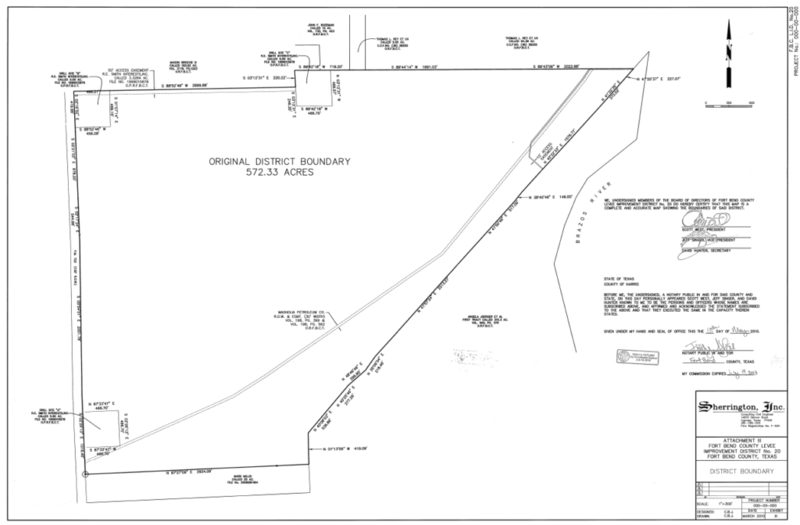 Storm sewer drainage for Kingdom Heights to the District’s outfall facilities is provided by Fort Bend County Municipal Utility District No. 176 (“MUD 176”), the boundaries of which substantially overlap the District. Development of Kingdom Heights began in 2007. As of July 10, 2014, Kingdom Heights contained 336 houses completed or under construction. Recreational amenities within Kingdom Heights include six (6) pocket parks, amenity lakes, walking trails and a recreation center and swimming pool.